Medical sterilization is a form of birth control. 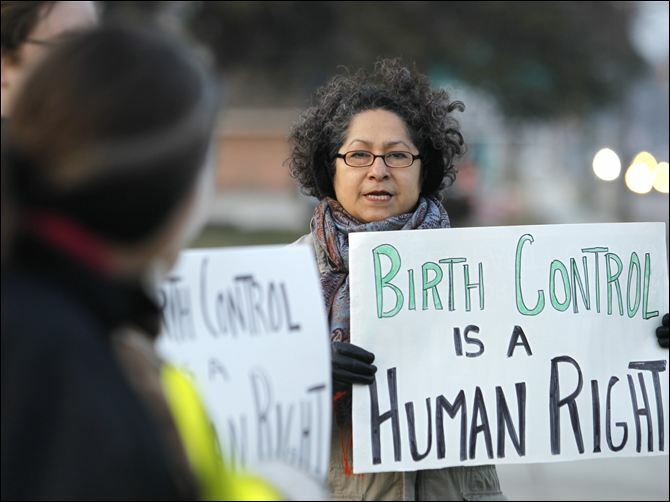 Female sterilization is a permanent form of birth control for women. During a sterilization procedure, a health care provider closes or blocks a woman’s fallopian tubes by cutting or sealing them using one of several available techniques. Sterilization is nearly 100 percent effective in preventing pregnancy but does not protect against sexually transmitted diseases. It is important to consider other methods of birth control before choosing sterilization for this reason. Reversals require complicated surgery and can cost thousands of dollars. Even though tubes can sometimes be rejoined, it is not a guarantee because, for many women, there is not enough of their tubes left to reconnect. While sterilization is many women’s first and most preferred form of birth control, countless others may choose to use temporary methods, including hormonal birth control (the Pill, the Patch, injections, and implants being several varieties), barrier methods (such as condoms and diaphragms), or an intrauterine device (IUD). These methods vary in cost and convenience, and upon discontinuing each method, a women should be able to concieve a pregnancy as before. Health organizations recommend that women select a birth control method that fits her lifestyle, future plans, and current relationship well. Many Puerto Rican women living in Brooklyn, New York turn to sterilization as their primary form of birth control. Across many generations of Puerto Rican women, a variety of medical and social inequities have contributed to the immense use of sterilization as a primary form of birth control. Some women, as do women in other circumstances, decide to get sterilized for their own medical reasons or because they do not want more children and feel comfortable with sterilization. However, many of these women choose sterilization as a form of birth control because other birth control methods are not affordable, safe, convenient, acceptable, or effective for them in their current circumstances. These constraints can be a result of lack of education, race and class biases in the healthcare system, and insufficient access to resources for women and families living in poverty. The sterilization procedure itself is not the problem, and is this analysis is not the same as sterilization abuse, forced sterilization against a person’s will. For Puerto Rican women in New York, the problem arises in the lack of viable, affordable, and acceptable birth control methods, which leads to the selection of sterilization as a primary birth control method. The use of sterilization by these women is also influenced by a wide variety of other social, economic, cultural, and medical reasons. This segment within the global health topics will focus on how reproductive constraints experienced by Puerto Rican women are covered by news media in light of a recent focus on women’s reproductive freedom, and how these issues are interpreted through an anthropological framework.